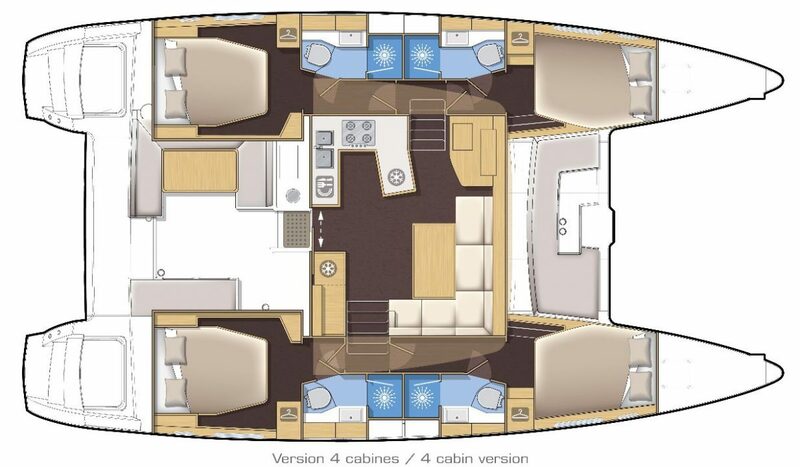 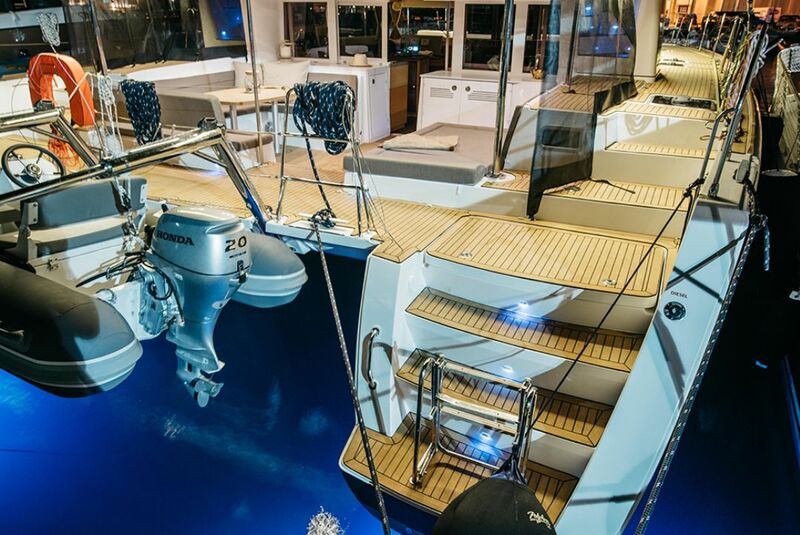 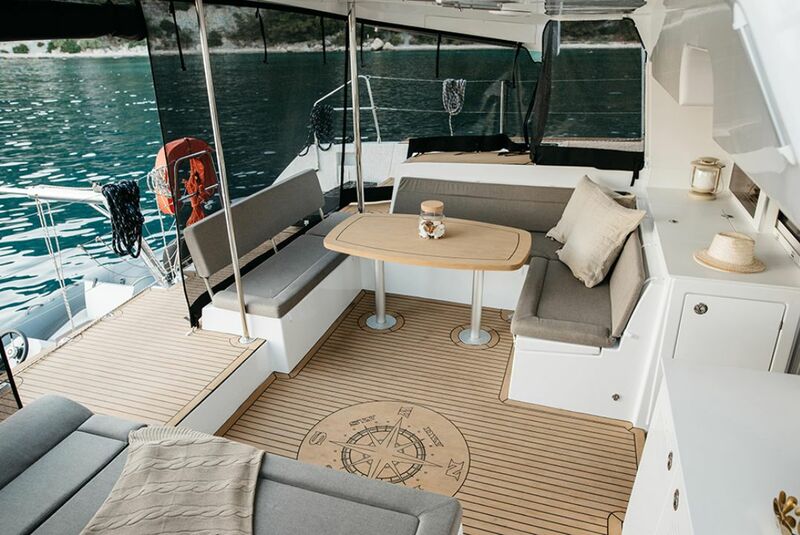 By dimensions, almost identical as regular Lagoon 450 catamaran for charter in Croatia, but different in so many ways. 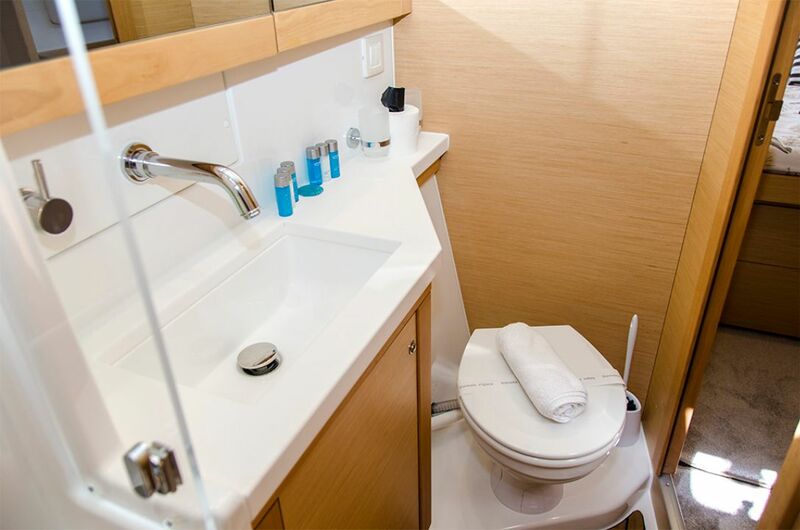 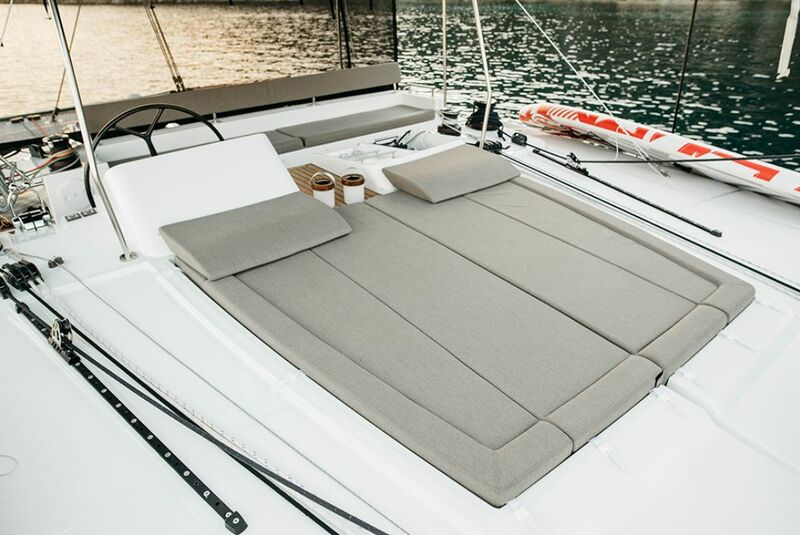 It is equipped to be luxurious mid-size catamaran for 8 persons, with all imaginable amenities that can fit on this kind of vessel. 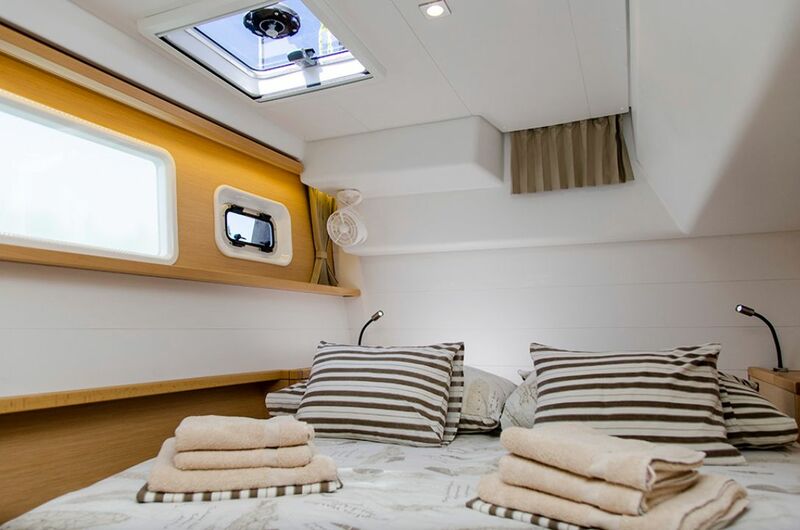 It comes with a generator and air condition, electric toilets, coffee machine and two paddle boards. 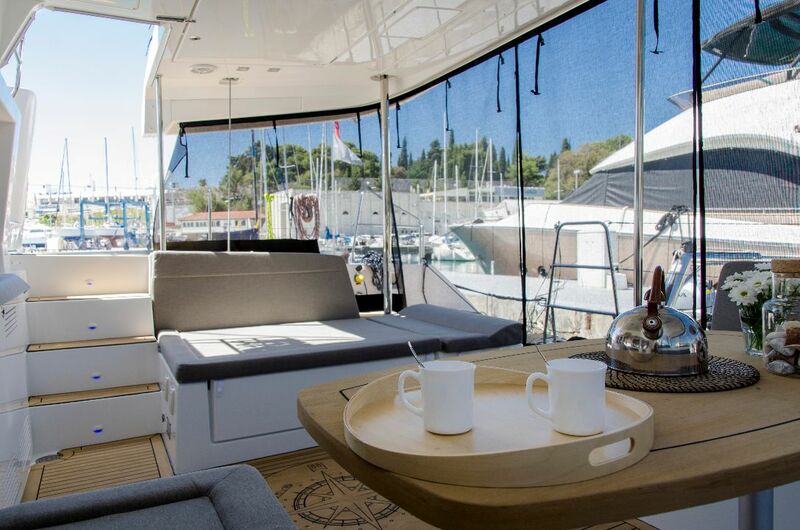 Sunscreen net will provide ultimate protection against direct sun, while enjoying nice afternoon in one of many beautiful bays on the Adriatic. 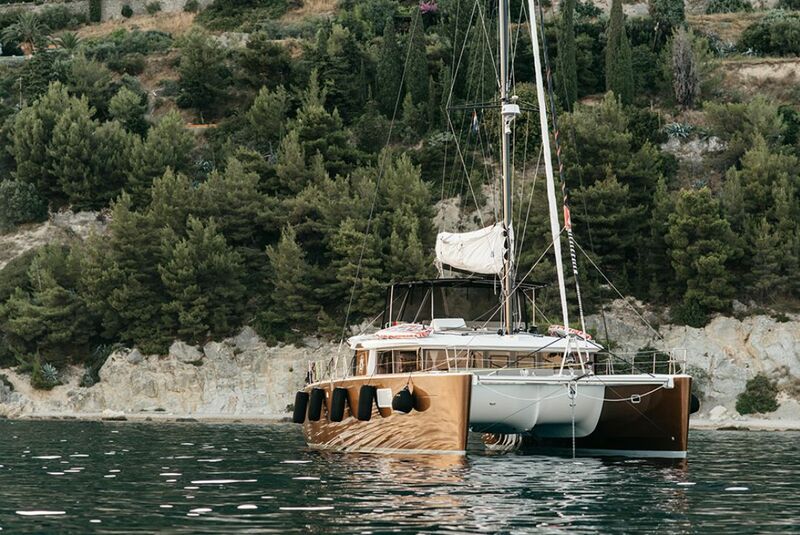 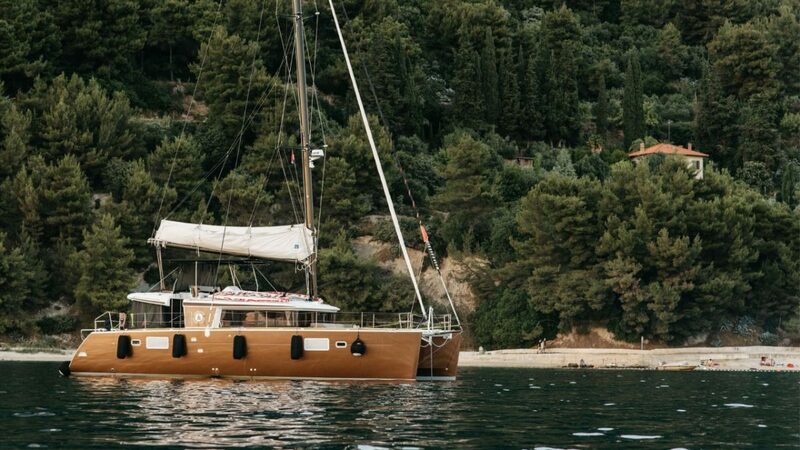 This catamaran cannot be unnoticed, as it’s eye-catching bronze color will make sure you stand out while sailing around or moored in one of many Croatian marinas. 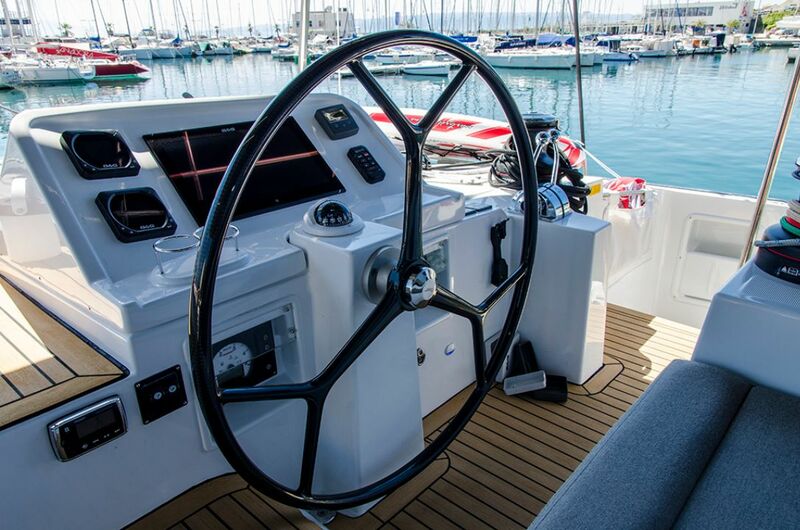 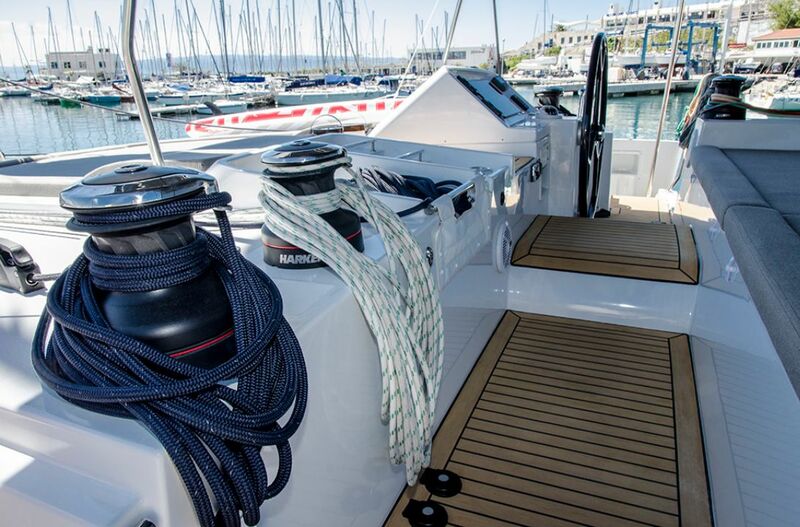 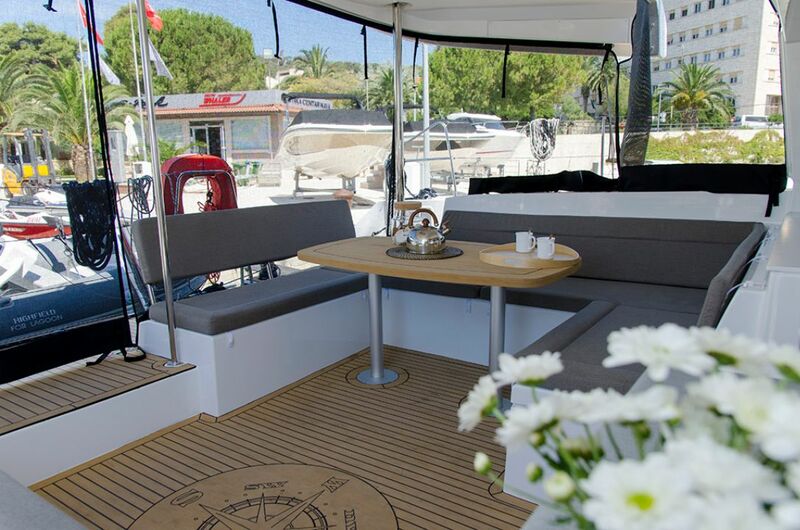 It is currently available with or without skipper in Split and Dubrovnik sailing area. 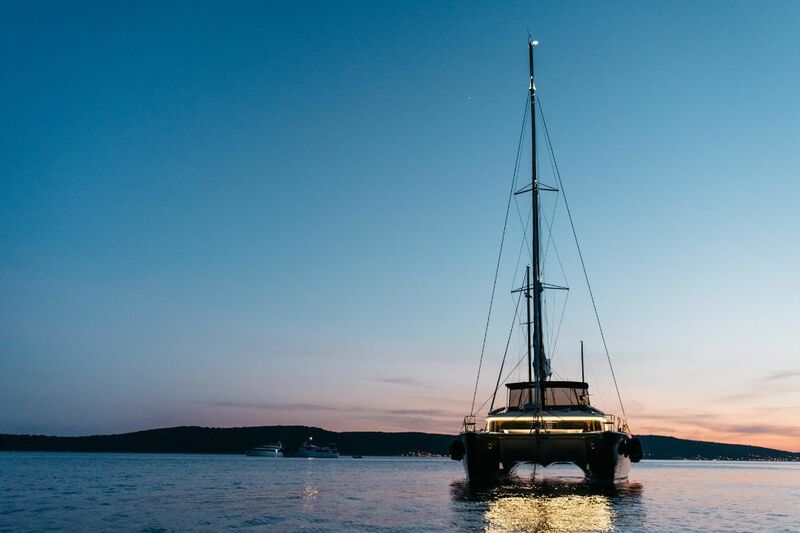 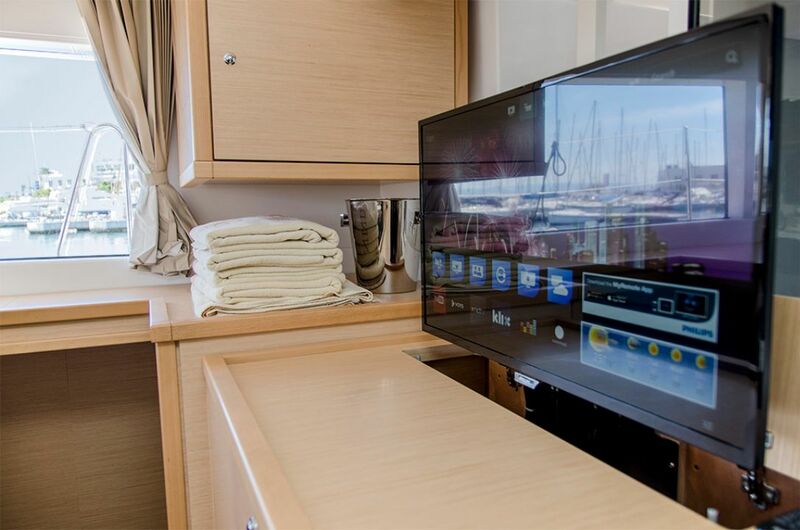 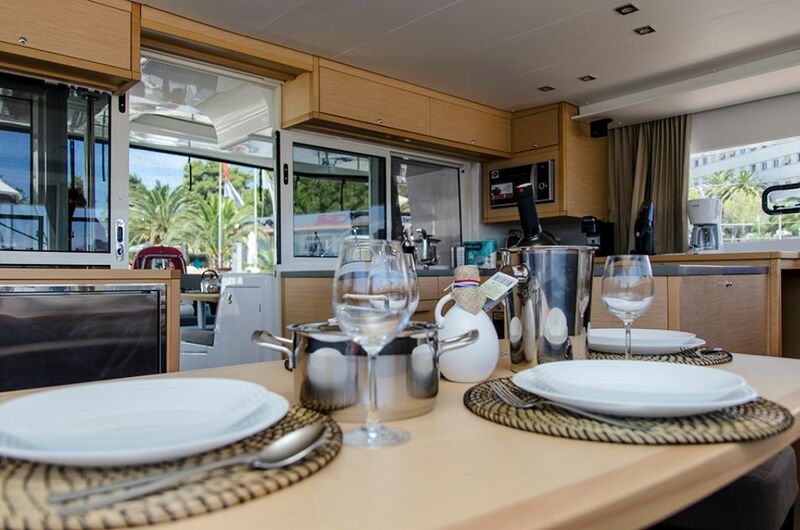 Without a doubt, Lagoon 450 LUX is the right choice for luxury catamaran charter in Croatia!